(WalesOnline) The EADS group has been rebranded as “Airbus Group”. Airbus Group has also renamed two of its three Divisions. The Group is now home to Airbus, which focuses on commercial aircraft activities, Airbus Defence and Space which will integrate its defence and space activities from Cassidian, Astrium, and Airbus Military and Airbus Helicopters which will cover all its commercial and military helicopter activities. “For many years, Airbus has been a globally renowned synonym for technology breakthrough as well as aeronautic passion and pride,” said Airbus Group CEO Tom Enders. The Group is launching procedures to change the legal form of its holding by 2015. Once renamed, Airbus Group N.V. shall turn into a European Company, Airbus Group SE (Societas Europaea) which will continue to be registered in the Netherlands. “We are a pioneer for European industrial integration. “It is a logical step and high time that our multinational culture is also mirrored in our legal structure,” said Enders. Both the legal name change into Airbus Group N.V. and the conversion of the legal form into SE are subject to approval of the Annual General Meeting (AGM) of Shareholders: while adoption of the new name is expected at the AGM in May, the legal conversion is targeted for approval in May 2015. 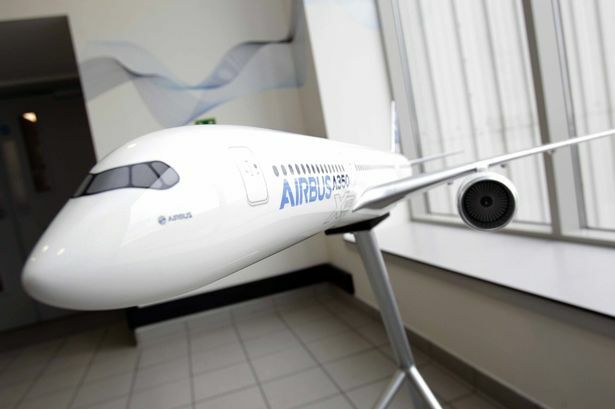 A spokesman for Airbus said: “These steps complement the transformation process of the Group. Airbus employs around 6,000 people at its site at Broughton in North Wales which assembles wings for its aircraft.